What's the Difference Between Agglomeration and Granulation Drums? Agglomeration drums and granulation drums are two of many terms used to describe rotary drum equipment. Granulation drums are typically used in the agricultural industry for fertilizer production. The tumbling motion inside of the drum creates uniform fertilizer granules that are easy to handle and apply. Agglomeration drums are commonly used in mining applications. 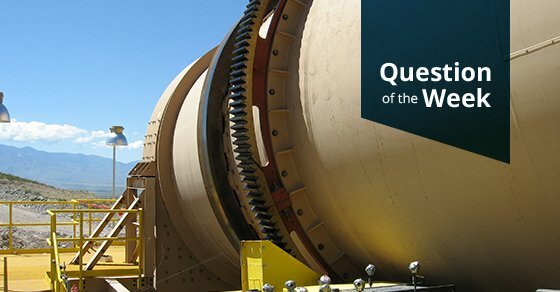 In comparison to other drum equipment, agglomeration drums range from medium to large sizes in order to handle high capacities associated with ore mining and processing. Lining for sticky or abrasive materials. Pre-moistened feed material, or a liquid spray within the drum. Flights, or scrapers to move material through the drum. It is important to also note that specialty applications also use granulation and agglomeration drums to pelletize or coat material. While specialty drums are technically either agglomeration or granulation drums, they deserve their own naming category, as they often process material outside of agricultural or mining industries. FEECO has custom designed and constructed rotary drums since our founding in 1951. For additional information on the equipment, download our agglomeration handbook, or contact us today!